I would call myself an enthusiastic amateur when it comes to running – and most other things to be honest. I’m the perennial Jack-of-all-Trades and Master-of-None but I like it that way. 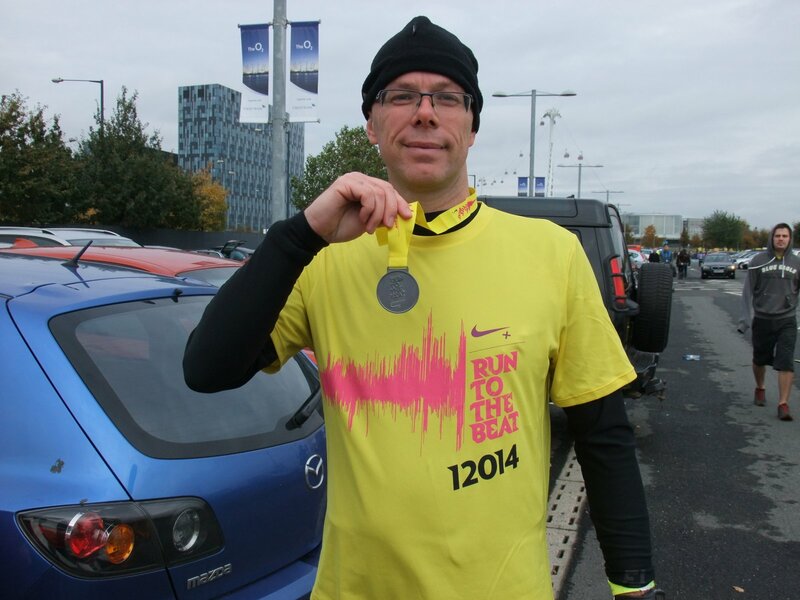 I took up running in May 2011 to get fit and loose weight – which I did. I have found I enjoy running and have entered a few races. I don’t belong to a club because that would require commitment and focus on one sport – which I don’t want. You can find out more about my motivation on my Running page on my blog here. I have done a few 10K’s and have wanted to do a Half Marathon for a while as a stepping stone to maybe the whole 46,145 yards but have been thwarted twice. I entered the Brentwood Half back in March but then found I had a place in the Olympic Park Run the weekend after so chose not to run to avoid risk of injury. I then entered the Southend Half Marathon but had a dodgy leg leading up to it and despite lining up on the start line I pulled out before the gun as I couldn’t do it. 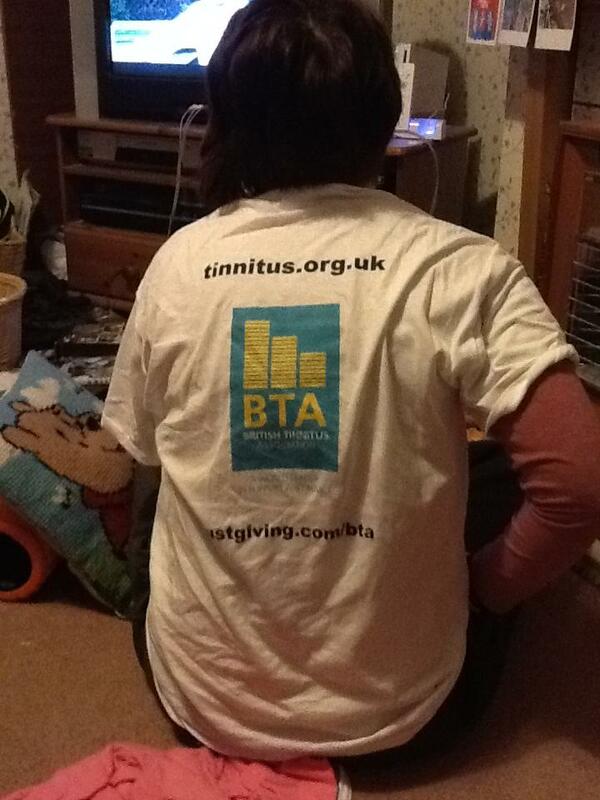 Taking part in Run to the Beat came about really from having a teenage daughter Liz who suffers from Tinnitus. 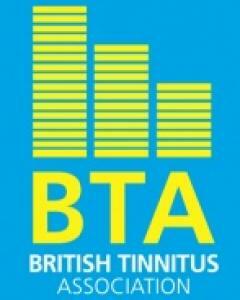 We support the British Tinnitus Association and through them Liz saw that the BTA were looking for people to run for them in the race. Liz persuaded me to enter and despite some caution associated with raising money and previous DNS’s I got in touch and was lucky enough to get a place. Read the BTA’s news item about me and the other runners here. Training didn’t go really to plan. I trained for it with a 12 week plan but unlike training for the Southend one where I pretty much stuck to the plan, this time I had injury and illness issues including two weeks out with a bad back and one or two weeks out with dodgy calves which meant the longest training runs I had done before the day were a couple of 8 milers. I was really nervous about running in the couple of weeks before the race and I didn’t want to injury myself. I have a justgiving account and have done various charity events over the years. My page for this event is at www.justgiving.com/Noynek05 and I relatively soon passed the £200 minimum sponsorship for the BTA place. 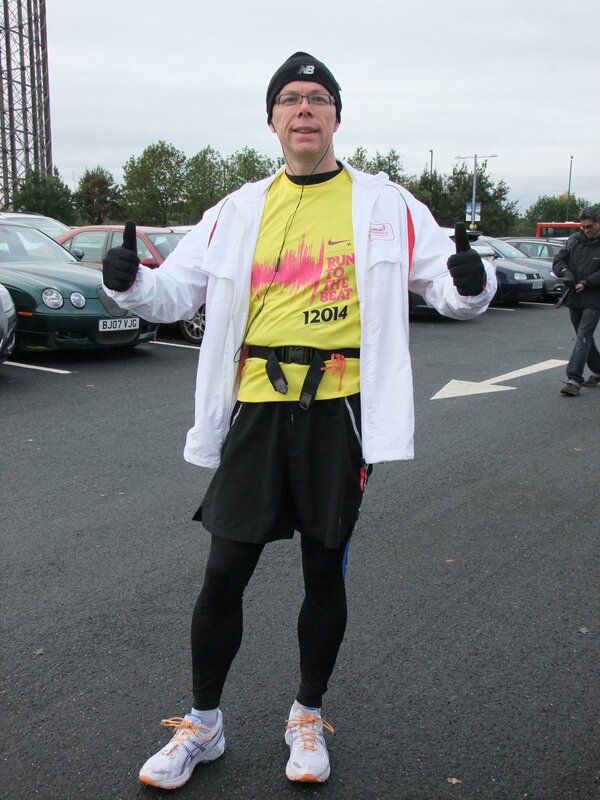 I was pleased to have raised nearly £400 by the day of the race. Some of the donations were from known work colleagues and friends. Many donations came from twitter friends some of whom I have never met. An enormous thank you to everyone who has already supported me with donations and to all those who do so in the coming weeks. So I was fit (enough) and fired up for the big day but still things went awry at the last minute. Three days before the race I managed to kick the corner of the wall in our hall and I thought I’d broken me little left toe. I could barely walk on the Friday but had to go to London. Saturday wasn’t too bad and I decided I was just going to run regardless. I didn’t tell anyone about my toe and have to admit to be really quite depressed at the prospect of not finishing – let alone not starting – but fortunately all was good in the end. 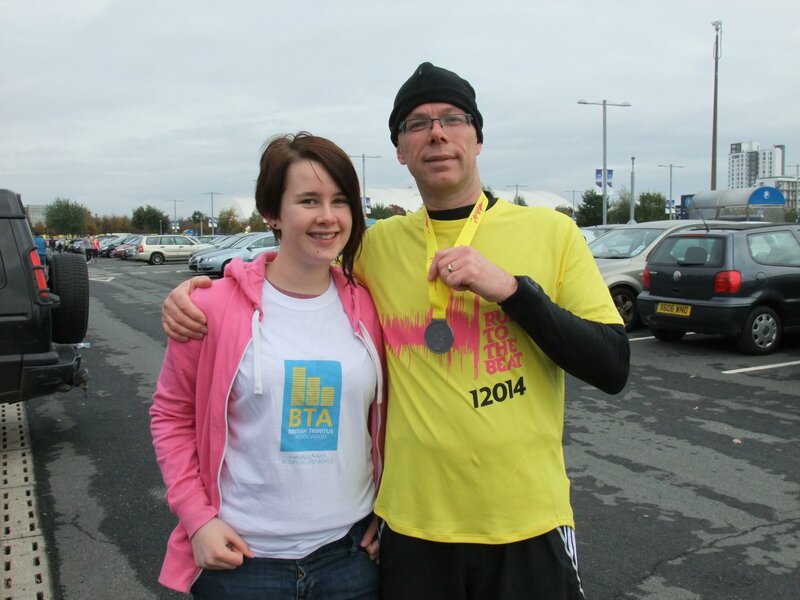 In the week leading up to the run a tee shirt arrived from the BTA team. Being an ordinary cotton shirt – and bearing in mind the hassle involved with wearing something other than one’s official shirt (with your race number printed on it) – I decided not to wear it for the run. Instead, my daughter Liz commandeered it to wear before the race and on race day. Race day came and the weather forecast was pretty good actually. Cold but likely to stay dry – which it did apart from one or two spots of rain which never got going. The family came up to London to support me – which was nice – and we left early and got there in plenty of time. 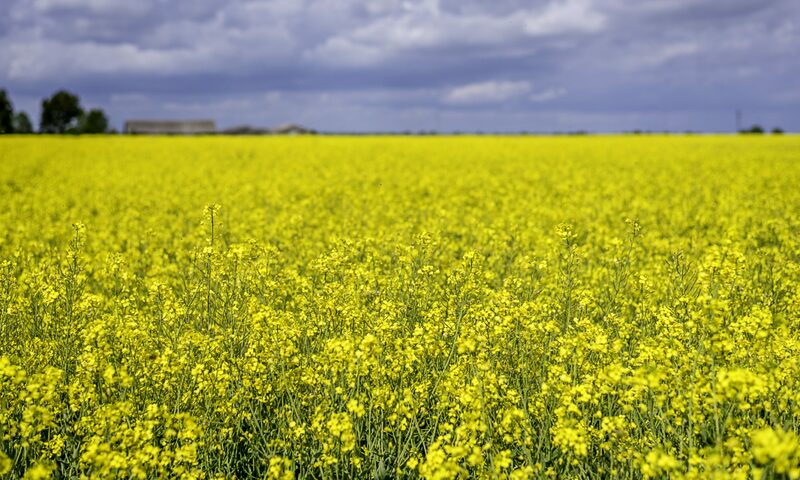 I drove my wife’s car so she could drive home – I wasn’t expecting to be in any state to. The day didn’t start too well at home as whilst I had fully charged my Garmin the day before I had forgotten to turn it off and so it only had 15% battery. Fortunately with a half hour boost it managed to survive long enough. I had been undecided about what to wear for the run by way of cold weather gear. I knew there would be lots of waiting around and I didn’t want to get cold, but then again I didn’t want to overheat when running. I wasn’t going to go with base layer and leggings but am glad I did in the end. I also started with my showerproof VLM jacket thinking it might rain. This came off after only a mile or so and travelled the remainder of the race around my waist. We had pre-booked parking in Car Park 1 and it didn’t take too long to get in although it was pretty rammed when we got inside. We parked up and went to check things out. First stop the loos as I was busting and we queued for maybe 15 mins for the 20 or so spectator thunderboxes near the car park. They were okay. There were 220 other loos for runners but these we found were way over the back near the bag drop area. The place was heaving with people and time was ticking on so we returned to the car and I got togged up and did some stretching before leaving the family to find a viewing spot and headed off to the pens. Now it wasn’t very clear how to get to the start pens (gripe) and I ended up going with the herd which ended up being a length walk via the runners loos and the (enormous and very crowded) bag drop building. I’m sure 90% of the people in the bag drop building didn’t – like me – need to be there and it took a good 15 mins to get in and then out again. Round the corner and up the road brought me back almost to where I started and from there it was only a short walk to my allotted start pen – 2:00hr – 2:30hr. I was very glad of my warm layers while waiting the 30 mins or so until me were underway. 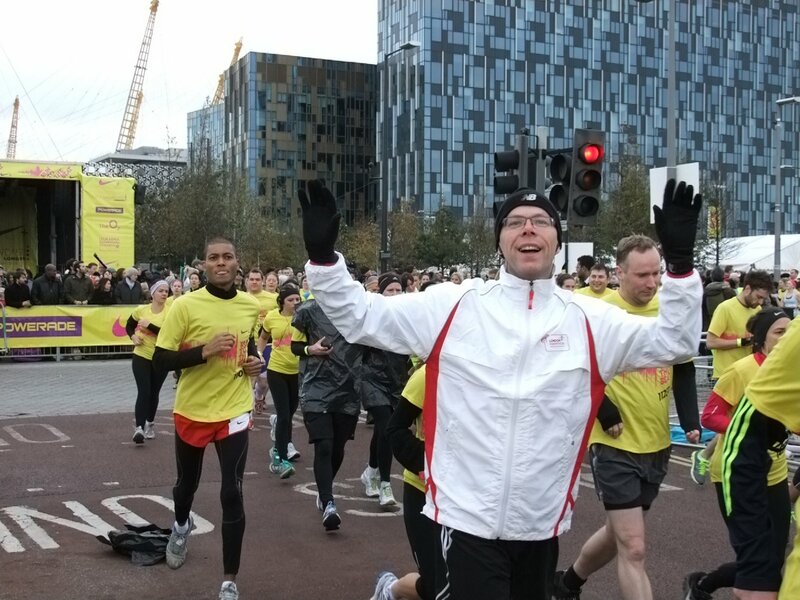 There were a lot of shivering goose-pimpely boys and girls hopping from one foot to the other and whilst I was maybe a little warm later – I would rather start warm than start frozen (like I did at the Olympic Park Run). The first half mile – as you would expect – were a bit manic with lots of jostling and no chance of actually running at any pace which I guess wasn’t a bad thing really. It was characterised mainly by blokes peeing against hedges. After a mile or so it started spreading out and a was able to get into a rhythm. It wasn’t long before I was getting pretty hot so by two miles my hat and gloves had come off and soon after my windproof VLM jacket. We passed a few of the music ‘stages’ which were actually rollalong cabins with DJ’s playing music from and this was the standard all the way around. The only stage was the one at the start/finish. That was a little disappointing to be honest considering it was promoted as London’s ‘Music’ Marathon. After about two miles I checked my position against the pace I had set on my Garmin watch – 9:06 minute miles (pace to finish in 2 hours) and found myself to be 1:15 mins behind pace which was a blow and I was resigned then to not finishing in under 2 hours and decided just to run at a comfy pace and not worry too much about where I was against the plan. I was also rather needing a pee but decided I’d hang on until I knew if I was going to stop and walk or pull out. Glad I didn’t stop and pee as it happens. Just after 3 miles we got to a roundabout that marked the start end of an out and back loop. I always find this depressing to see loads of people running toward you having run a loop that you still have to do. We ran down almost to the river and the turn was on a nasty cobbled area which wasn’t too nice. We returned via a different road to the roundabout then turned up the hill toward the Royal Artillery Barracks. The hill was quite steep and there were a fair number walking but I seemed to climb it pretty well without walking. We turned right and continued uphill until we met runners coming downhill towards us on another of the out and back loops. Crossing the parade ground of the RAB was cool and there was Powerade being dished out which was a welcome sight. I took a bottle and downed half before chucking it in a bin. We carried on uphill along the south edge of Woolwich Common before coming back down the hill meeting runners heading into the RAB. Things were going pretty well still and a look at the watch to see how I was doing against race pace lifted the spirits as I found I was now nearly 2 minutes ahead of race pace. This was at about the 7 mile mark. Mile 7 to 9 was boring and uneventful and seemed to go on for ages as I thought we where near Greenwich Park that never seemed to arrive – but after 9 miles it did come into sight which was a boost as it felt like we were nearly home. As we approached Greenwich Park I remembered I had liquorice laces and jelly babies and so had a couple and continued having some every mile or so to the finish (very helpful). In Greenwich Park we did a fairly lengthy out and back loop up and down the main drag and to the observatory – where there was more of a music stage now I recall (but still only a DJ). We then had a long decent down to the National Maritime Museum. I was particularly careful on the decent not to go too fast or to knacker the knees. Things were still going pretty well and I was allowing myself to concede that I was actually going to complete the race and could actually now think about what time I might do it in. The last couple of miles were a bit of a drag and seemed to go on for ever. I recall thinking at about mile 12 that I just wanted to walk but I was looking on for a good finish so managed to hold it together. Once past the A102 and with less than a mile to go I tried to summon the last dregs of energy and lift the pace and we soon entered the area around the dome. 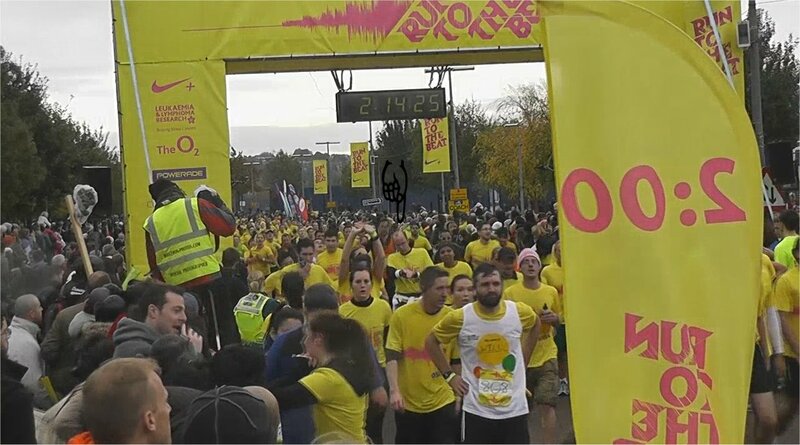 I started looking out for the family but managed to miss them – and then I was over the line in a time of 1 hr 59 mins and 2 seconds . My official time was later confirmed as 1:59:04 which I was very very pleased with. I was surprised how okay I felt after the finish. Knackered yes – and the knees feeling jolly hurty – but better than I expected. Even the toe felt okay. I walked with the crowd through the finish area and collected my medal from the random medal-giver-outer people (I could of taken any number of medals frankly). and headed for the car. Eventually I passed the drinks area and got my complimentary bottles of water and more Powerade. And then I was back at the car and meeting up with the family. Drinks were drunk, photos were taken (they had missed me cross the line), tweets were sent including a pic of my garmin 🙂 and then we were off home. Actually there was no real aftermath. I was pleased to have taken the week off work (half term) but was remarkably okay on the following day. Even the next day (Tuesday) when I expected not to be able to walk I was okay. On the Wednesday I felt okay enough to cycle a good way home from London (25 miles) after going up on the train with my bike for a work meeting. As for the event – I am glad I entered and very pleased with the result. I’m not sure I would do it again due to the number of people – and the organisation could have been a bit better but then it was dealing with 18,000 or so runners (they said at the start). My official finish position was 4,980 out of 12,205 and I was pretty happy with that for my first Half Marathon. I’m sure it wont be my last! A few days after the run my own personal video was made available to me for 9 Euro – which I purchased. The images above are captures from the video. You can watch the video online by clicking here. You will do well to spot me 🙂 Balding fellow with white jacket tied around waist.